1. 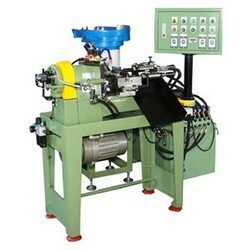 Application: suitable for grinding the trimming and cutting tool of rubber parts, plastic parts, PU parts. (1) Is available to grind knife of the sharp angle and arc angle. 1. 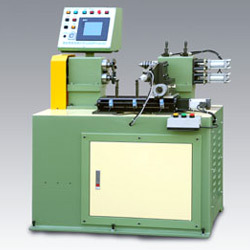 SY-C103 #25 collet chuck type oil seals trimming machine. 2. 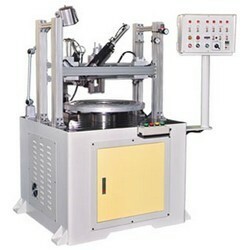 Application: suitable for inner and outer diameter of oil seals trimming. (1) Uses ＃25 collect chuck easy and quick to change mold and knife. 1. Application: suitable for filling grease to both oh the inner and outer diameter of the oil seals. 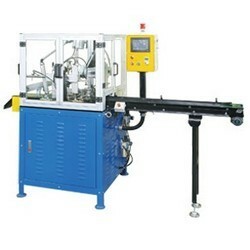 (1) Use of pressure and flow control system to finish filling at a time. 1. Use: each type of oil sealing spring loading. 1. SY-C103-45 #45 collet chuck type oil seals trimming machine. 2. 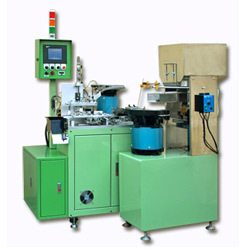 Application: suitable for A and B type oil seals with large-sized diameterand general rough products trimming. 1. 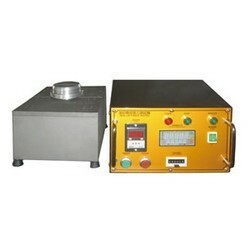 Application: suitable for various oil seals gyration durable life testing. (1) Gyrate at high speed or low speed with multi-speed auto control. 1. 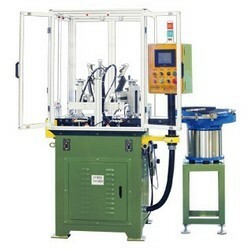 SY-R103 ring cone type oil seals trimming machine. 2. 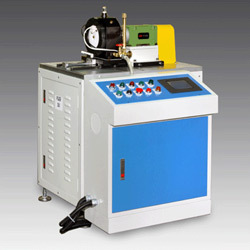 Application: special use for A type oil seals trimming. (1) Need no other mold and lowest cost. Application: Suitable for manufacturing Oil Seals,Bearing Seals, Rubber Parts of automobile and motorcycle industry and various kinds of rubber products. 1. 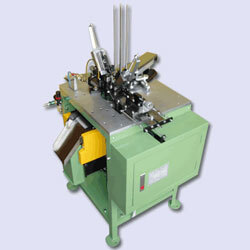 SY-RT103 ring cone type oil seals trimming machine (double knife blocks type). (1) Needs no other mold, and lowest cost. 1. 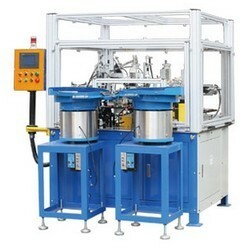 SY-V103 vacuum-type oil seals, cups, packing trimming machine. 2. Application: suitable for trimming oil seals, cups, packing, and soft rubber parts, etc. (1) Use vacuum mold and the characteristic of vacuum to trim. 1. 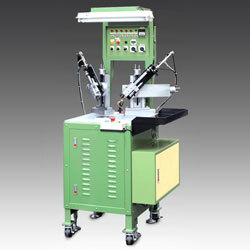 SY-103-S vacuum type oil seals trimming machine. 2. 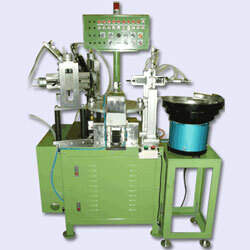 Application: suitable for trimming inner and outer diameter of various oil seals. 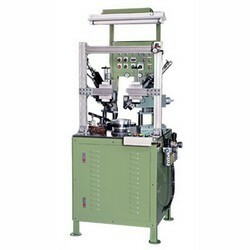 Suitable for the trimming of mass production valve steam seals, cups, UV packings, and other rubber soft material products, etc. 1. 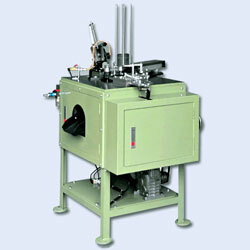 SY-V103SF vacuum type oil seals trimming machine. 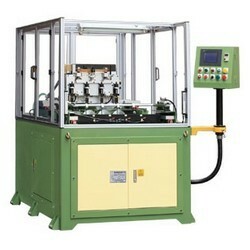 (1) Manual feed, vacuum type, and auto trim. 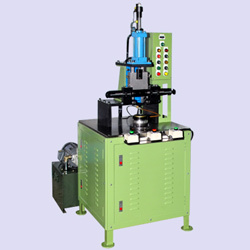 2.The tensile test machine assists the design and manufacture oil seals to increase the durable life of oil seals. 1. 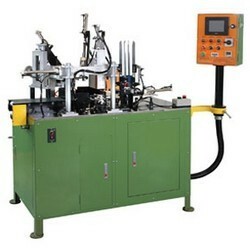 SY-V103-PU3T vacuum type PU oil seals, packing, cups trimming machine. 2. Application: suitable for trimming large-sized oil seals, packing, cups, with different height of inner and outer diameter. 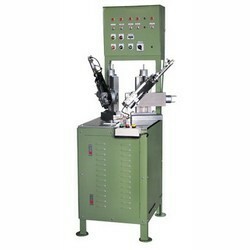 1.Rotation at high speed or low speed with multi-speed auto control. 1. 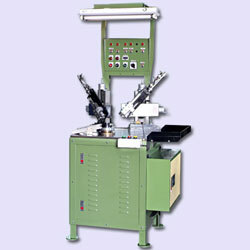 SY-RA104 auto rotary type trimming machine (4-Station Type). 2. Application: Suitable for the trimming of the huge quantity and less type oil seals, cups, packing, and soft rubber parts, etc. 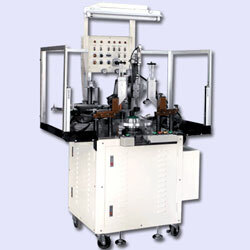 1.Manual feeding, auto loading and auto offloading increase working efficiency. 1. 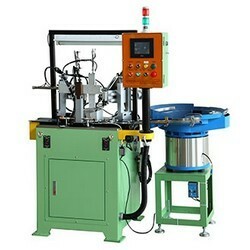 Application: suitable for square RING cutting (after rubber tube shaping). 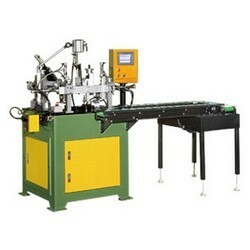 (1) Equip with servo motor and proface touch control for thickness cutting precisely .It is easy to operate and adjust. 1. 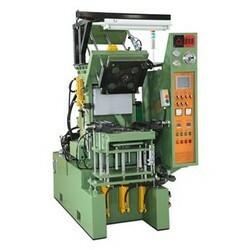 Application: suitable use for square ring cutting (after rubber tube shaping). 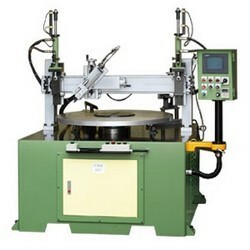 (1) Equip with servo motor and proface touch control for thickness cutting precisely. It is easy to operate and adjust. 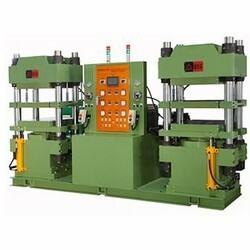 Suitable for rubber and foam products compress molding economically and efficiently. 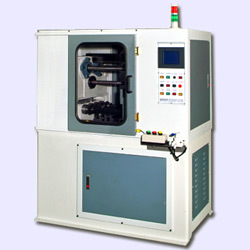 The machine equips with two-layer working system to compression molding product with two sets of molds. 1. 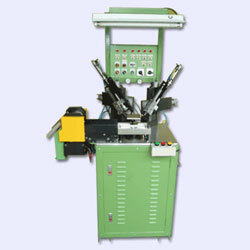 Square ring cutting machine (4 shaft type). 2. 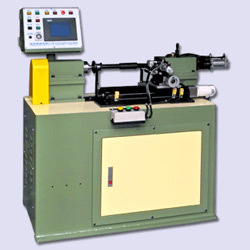 Application: suitable use for square ring cutting (after rubber tube shaping). 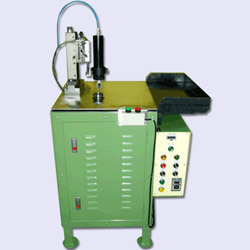 Suitable for inner and outer diameter of oil seals trimming. 1.Uses #25 collet chuck easy and quick to change mold and knife. 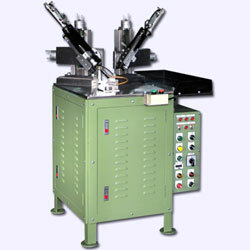 1.Adopts pressurized trimming to overcome uneasy fixation and deformation for large-sized working pieces. 1. 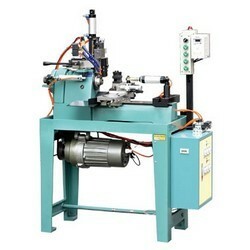 SY-B103 air pressure type iron case of oil seals beveling angle machine. 2. Application: suitable for beveling the outer diameter and iron case end of B type oil seals and valve steam seals. 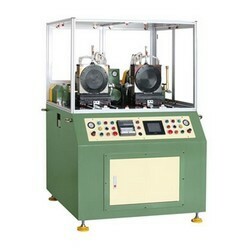 1.Adopts double pressurizing rollers and vacuum type to overcome uneasy fixation of the large-sized working pieces. 1. 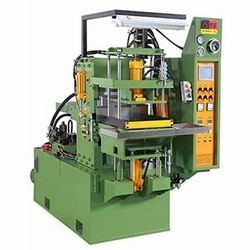 SY- BV105 hydraulic type iron case end of valve steam seals beveling angle machine. 2. Application: suitable for iron case end of valve steam seals beveling. 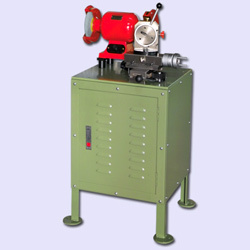 Suitable for trimming large-sized oil seals and packings with O.D. Ø500~1200mm. Suitable for oil seal iron cases forming and combining. 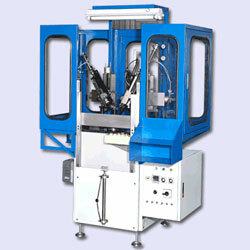 1.High speed location, low speed forming and combining. 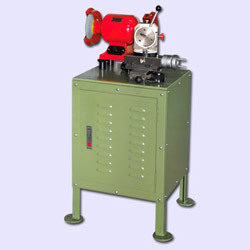 Suitable for the trimming of oil seals, specifically for medium-sized outer diameter oil seals. 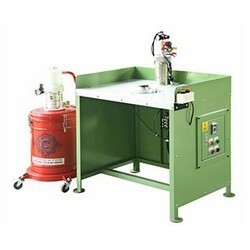 Suitable for the trimming of oil seals.